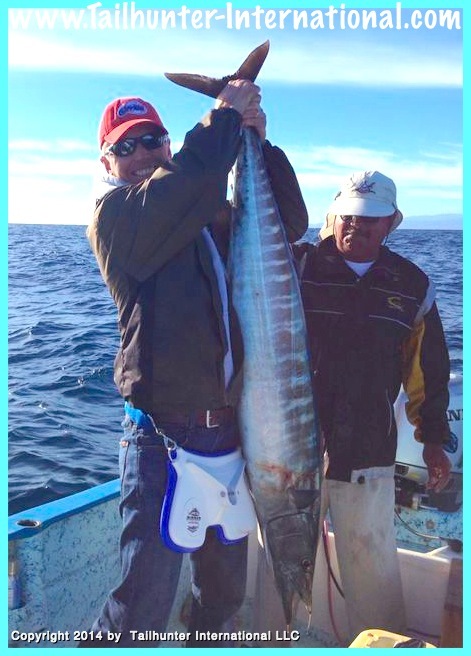 Mark Martis visits La Paz several times a year and our amigo has been fishing with Tailhunter for well over a decade. He often surprises us with his great catches, but this surprise catch this past week with Captain Victor was this spectacular wahoo taken off Cerralvo Island. Officially our first wahoo of the season! 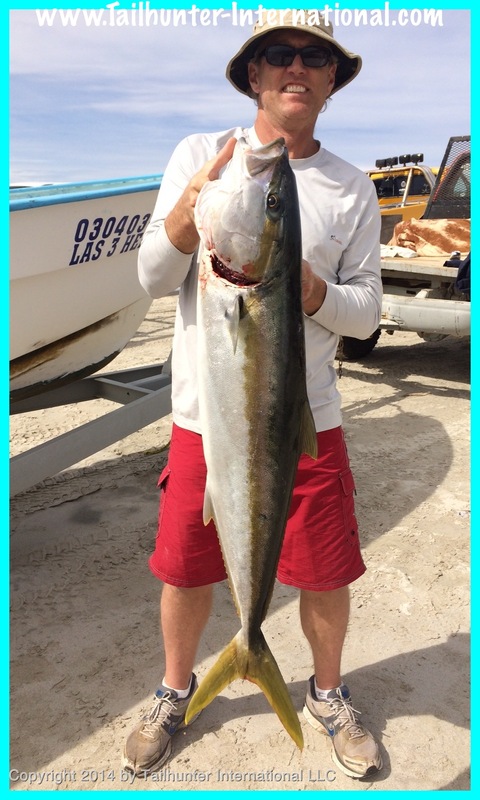 Seth Caillat got our first official Las Arenas yellowtail of the season. In fact he got two of the plus dorado using live ballyhoo out’ve Bahia de Los Muertos. 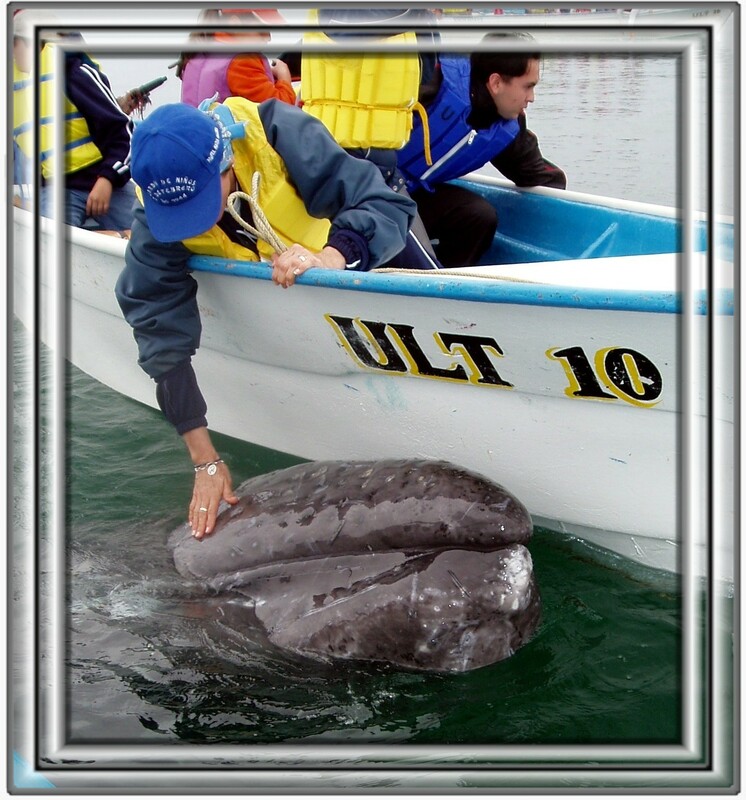 Whale watching season with the gray whales in Magdalena Bay is in full-swing right now with lots of whales in the shallow calm waters! Let us know if we can set up your whale watching trip for the experience of a lifetime! Whales usually hang out until the middle of March. The Tailhunter Tour showed up for the Pacific Northwest Sportsmans Show this week in Portland Oregon and got slammed with a freak 4 day snow and ice storm that virtually froze everything in the city and shut down much of Portland. We still had a great show! 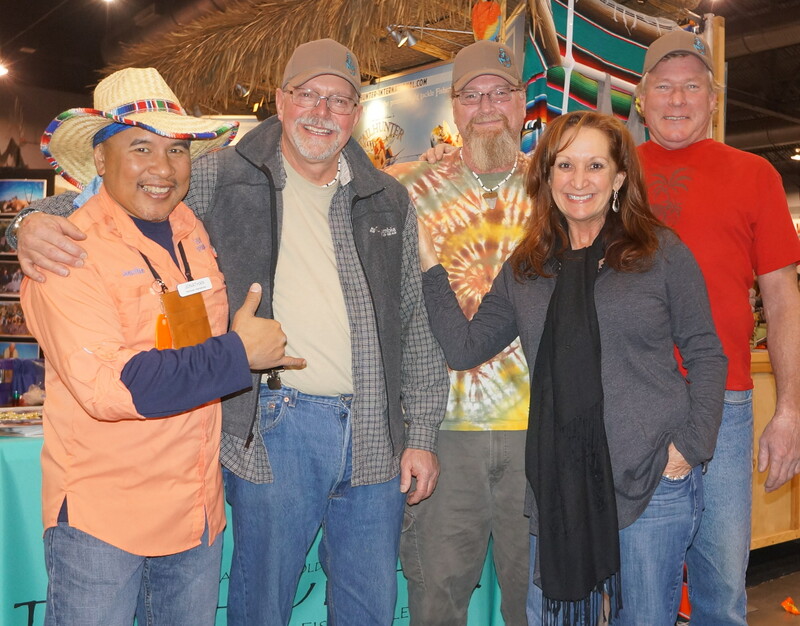 Like I said, we still had a spectacular show in Portland with lots of amigos visiting Jill and I including Matt, Tim and Phil who stopped to say hi and take a quick photo at our Tailhunter booth. Next stop…YAKIMA, Washington. A WEEK OF SURPRISES FOR FISHING WEEK! I’m not sure how to describe the week. OK, we got some fish. Yes, it was a little breezy and yes, it was a little bumpy some day out there. But that’s typical of this time of year. In all honesty, we didn’t get ALOT of fish. So, best to be truthful. However, that’s not what made the week remarkable. What made it remarkable was the quality of the fish we got! OK, we got a few cabrilla and some bonito and some sierra. Ho-hum. That’s about par for winter fishing right now. But, whereas we got those big pargo snapper last week and I thought we were going to go zipping into pargo season, the pargo didn’t show. Instead, it was a week of FIRSTS! …we got our first yellowtail of the season…some nice 25-pound fish. These fish ate some slow trolled big Rapalas as well as slow-trolled ballyhoo that caused the fish to blow up. 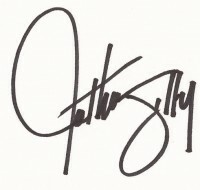 Secondly, we also got…(hold on…drumroll…) WAHOO!!! Yup. Wahoo, in winter at the south end of Cerralvo Island. Our first wahoo of the season! On top of that we got dorado still biting. Dorado are SUMMER fish! What’s up with that? I have a feeling this could be a wacky start to the season. Every week, we’re running into something different. That just makes it fun. TAILHUNTER TOUR LEAVES PORTLAND SHOW AND MOVES TO YAKIMA WASHINGTON! 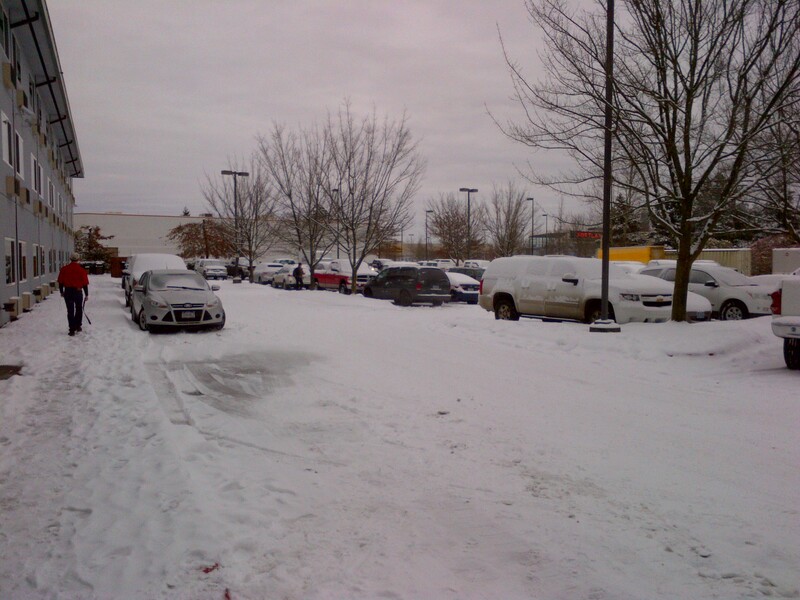 It was an incredible crazy snow-filled week in Portland as a freaky 4-day snowstorm pretty much shut down the city! We still had a great time and booked lots of La Paz fishing trips and saw lots of our amigos! Our 3-month Tailhunter Road Tour says adios to one of our favorite cities in Portland, Oregon where we had a crazy week of an unusual snow and ice storm that pretty much froze the city…and us! But, we had a great show and now move onto the CENTRAL WASHINGTON SPORTSMEN SHOW in YAKIMA, WASHINGTON! The show is a fun 3-day event from Friday to Sunday, Feb. 14-16th. 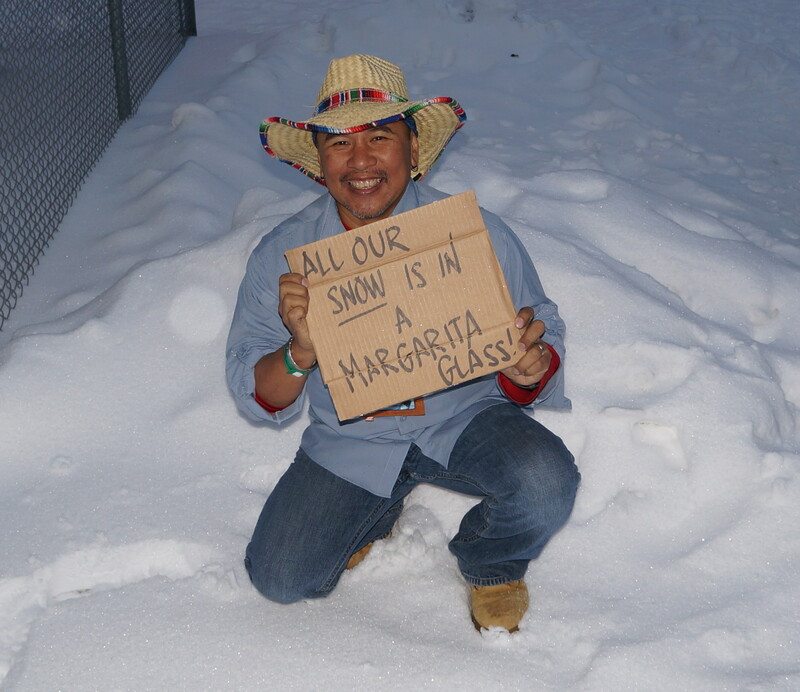 Come say his and let’s talk about visiting us in La Paz this year…where it’s WARM! Hope to see you then! Have a great week!